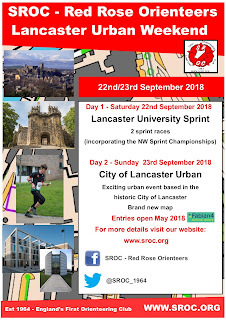 Some preliminary details for the urban weekend which SROC is hosting in September are now available, either by clicking on the picture link on the left of the home page or by following this link. 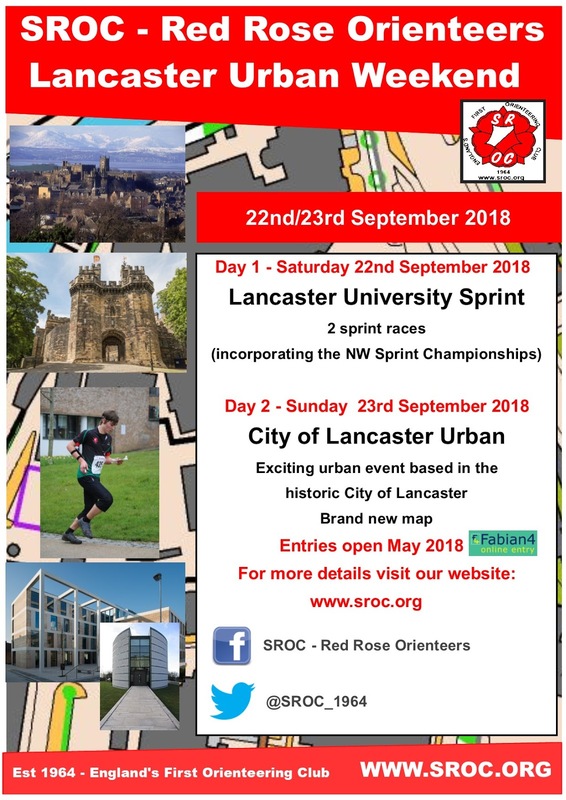 The weekend includes the North West Sprint Champs at Lancaster University on the Saturday, followed by an urban race in the City of Lancaster on the Sunday using a brand new map. SROC wins Compass Sport Trophy heat! Farleton Knott event rescheduled for March 25.